• In This World, We are Like Him (1 John 4:17)... So Now What? • The Secret Things of God... For You! 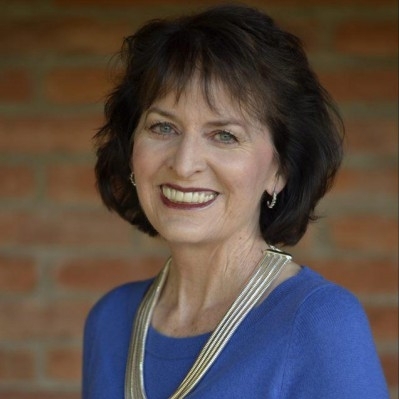 Carol can address a topic of special interest to your group or help design a series of talks just for you. Let her know how she can best serve you. "Take God very seriously; yourself, not at all." Carol Boley bases her writing and speaking on these words of wisdom from her professor of Old Testament at Wheaton College. Women leave her events encouraged, inspired, and understanding more about the heart of God and His love and grace for them. And they have fun in the process. 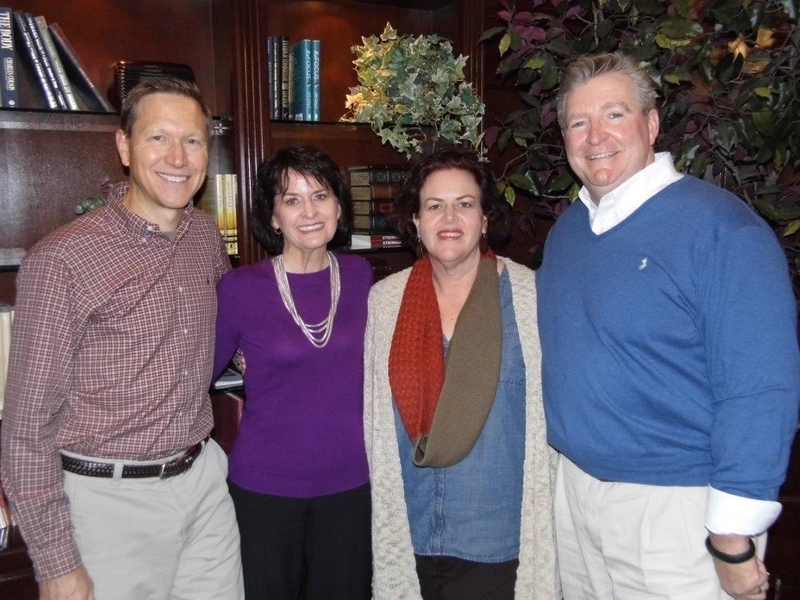 Carol tackles relevant, sometimes tough, topics with insight and humor. She would like to say her Pinterest posts have gained her worldwide recognition. She would like to say that, but it wouldn’t be true. Her interest in crafts got derailed at a meeting of the student chapter of the American Home Economics Association where the concept of recycling was introduced with the goal of transforming a styrofoam meat tray into a lamp shade. Carol thought at first it was a joke, but when the guest speaker presented the idea of weaving the plastic bags that hold ten pounds of potatoes into a kitchen rug and everyone ooh-ed and aaah-ed, she knew this was serious business. And then it dawned on her. There's deep truth here. Recycling is really God's idea... transformed from glory to glory as we behold Him... useful to the master in whatever stage of life we find ourselves. We can be useful as a meat tray or as a lamp shade. It's all in the power of the one who does the transforming. Carol is old enough to have gained the wisdom and experience that comes through years of living with Jesus and the (sometimes feisty) people He puts in our lives, yet young enough to still be able to walk on stage and speak (as long as she doesn't have to wear heels). 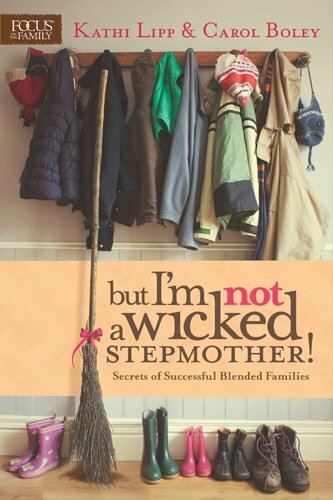 At Focus on the Family, December 2014, for But I'm Not a Wicked Stepmother! "You and Kathi did a fantastic job addressing this difficult and sensitive subject-your warmth and transparency are sure to connect with our audience. I have no doubt many women striving to experience fulfillment and harmony in their role as stepmoms will glean a wealth of wisdom and encouragement from the advice you shared. 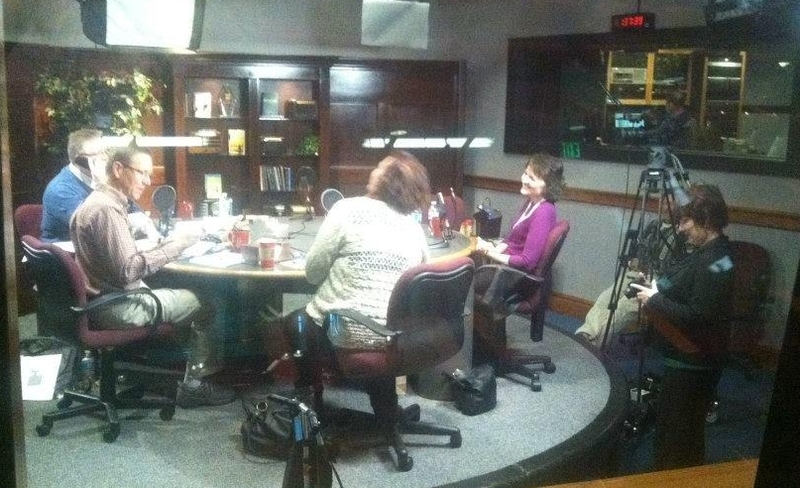 I’m looking forward to airing this great interview!" In the beginning was home ec. Home ec grew up, got hooked on steroids, and soon became known as Pinterest. Carol has a degree in hom ec and would love to tell you that, with a degree in home ec, she sews all her own clothes and curtains. She would love to tell you that, but it wouldn’t be true. She can't sew a stitch. In her Clothing Construction "lab" she was still pulling a single thread (which kept breaking), so she had to keep starting over on her yards of fabric to determine warp and woof (whatever that means) before laying out her pattern, while a fellow student (who had won the state's "Make-It-With-Wool" contest only the year before) put the finishing stitch in her skirt's hem. She was clearly out of her league. It brought back painful memories of junior high home ec, when her friend sewed the apron she was hand-stitching to her skirt. Carol still has no idea what warp and woof means, nor does she care. She would like to tell you that with a semester of Household Equipment completed on her transcripts, that she is a master of modern technology in the home. She would like to, but that wouldn’t be true either. She once took half an hour to figure out the attachments on her vacuum cleaner, after almost calling her husband at work to beg for help. But Carol made herself figure it out. It is still a matter of pride for her. Now she knows she can do hard things. She would like to tell you that she is an expert in fabrics after a semester of Textiles, but by now you know she's not and would be lying if she said she was. Could she help it if her fabric samples all burned up before she could determine their content during the flame test? And that she almost set her clothes on fire when she dropped the swatch on her lap? And that she felt lucky she didn't torch the building? Carol would like to tell you she's a gourmet chef after her Food and Nutrition classes, but, well, you know. Although she did spice up the pumpkin soup recipe, changing it from bland-tasting swill (when made by the recipe) to a delicious, mouth-watering delight that rivaled a pumpkin spice latte... She was a rebel that way. But Carol loved her Child Development and Family Relations classes and learned lots of cool things she has actually used with her own children and family, and can pass along to readers and listeners.